The commercial real estate technology scene has become advanced for an industry that was once dubbed as slow to adopt new technology. Now, commercial real estate uses plenty of apps, drones, and software solutions to serve its needs. 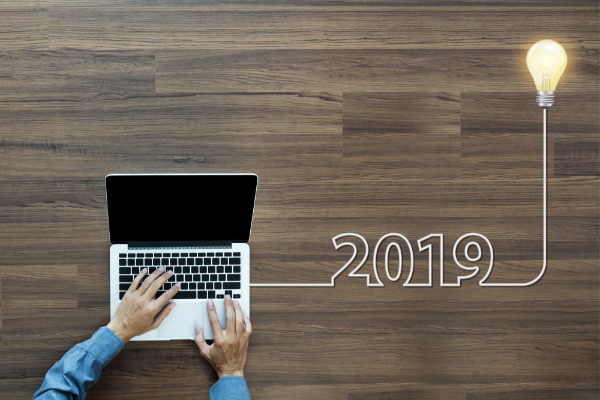 This boost in technology in the industry will be sure to take CRE to new heights in 2019. Industry standard point solutions will be extended and combine with new offerings to deliver more comprehensive platforms for property owners. Revenue growth, market size, and execution of leasing data services are compelling for public and private market investors leading to an IPO. Leasing data services will become vital to creating and capturing value in this competitive real estate market. Institutional investors should anticipate professional and effective communication and transparent report which can be accomplished with software and is necessary to link the front office and the back office. One bridge that makes sense is the junction of Yardi or MRI and Juniper Square. Crowdfunding and auctions seem to be cooling off to better tooling and branding for originating transactions more efficiently. Robo-advisor who give clients an easy to manage, cost-efficient, diversified investment platform will need to offer better exposure and visibility into the fourth asset class of commercial real estate. Automation will continue to take on tasks that were once performed manually by real estate agents and brokers via high-quality CRMs. The Internet of Things will connect smart buildings through machine learning and automation. If a building has a system issue, you won’t need a technician initially. A signal will be sent to a management center and a word order will automatically be generated for the issue. Technology solutions for real estate properties are typically treated with level two or three security, so the IoT should be well-equipped to handle cybersecurity threats. The IoT will be a boon for the predictability of property equipment replacement. This will be done by putting sensors on equipment, helping clients manage their budgets more efficiently. The IoT can help boost efficiency and building automation by reducing the number of clicks and by creating work orders more efficiently for when something in the property breaks. The IoT will have one of the largest impacts on CRE in the future because it will be used to better manage the tenant experience and in the management of predictive maintenance. The technology activity in the commercial real estate industry is accelerating at a very quick pace and we expect to see this pace to continue to pick up in 2019. It is an exciting time for CRE with billions of dollars of value has the potential to be created. We expect that in a few years the term CRE tech will no longer be a phrase because CRE and tech will be synonymous. The industry will absorb technology into its core to be software enabled. In order to compete in an increasingly competitive and complex market, commercial real estate firms will need to be proficient users of technology and software tools.